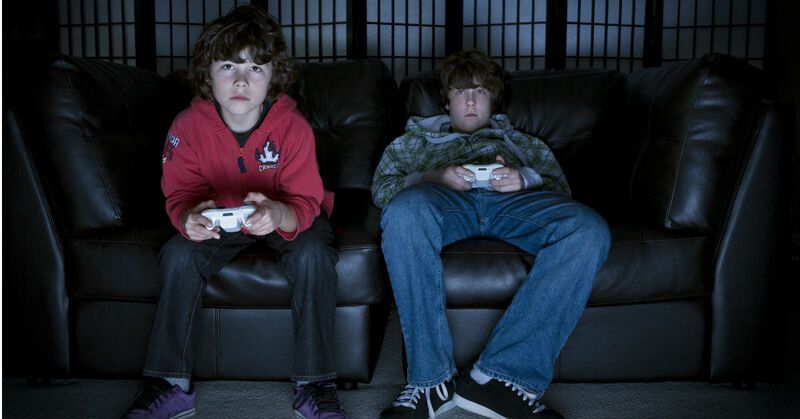 Video gaming can be a healthy way for teens to spend time with friends and blow of steam. It helps with their hand eye coordination, and it can keep them out of drugs and similar bad behaviors. However, video games can also be very negative. Teens can develop addictions to video gaming just like they would to drugs or alcohol. It also keeps them from getting exercise, developing proper social skills, and even graduating high school. As a parent, you have a responsibility to prevent these negative occurences. A little gaming isn’t a problem, but if you’re not careful, it could turn into a full blown addiction. Here are five ways you can take control of video game usage and help your teen live a healthier lifestyle. Start by setting some rules and schedules for video game usage. Limit the amount of time your teens play video games daily by taking away the controllers after a certain time period. Some f the games available to teenagers can be very dangerous. Know what your teens are playing and how that content is affecting them. There have been links between violent, gory video games and significant behavioral problems and aggression in teenagers. If you start taking away video game time at home, your teen may try to reclaim that time at a friend’s house. Discuss plans in detail with your teenagers to make sure they’re going to a friend’s to do homework or participate in a better activity. Talk to the friend’s parents to make sure they understand the restrictions placed on video game time. If they don’t want to enforce your rules, have your teen spend time with friends in your own home. Give your teens something else to do instead of playing video games. If you take away one bad habit, but don’t replace it with a positive one, chances are they’ll pick it up again later. One idea of a replacement activity could be a long term project of your teen’s choosing. For example, they might start building model cars or learn how to ride horses. These replacement activities can fulfill needs and erase bad habits. Set aside one night per week for family night and always eat meals together. Family time helps you bond more closely with your teenagers, helping them to understand that your rules are made out of love and that there’s a good reason behind them. If you find that your son has a serious gaming addiction, it’s never too late to seek professional help. A summer at a therapeutic boarding school can do wonders for helping your teens get over their addiction and get back to a healthier lifestyle. For more information, contact Liahona Academy.